Live streaming can be your “secret” (hopefully not so secret) weapon to success! Think about it, it creates a great experience and brings your audience into your world. Let’s be honest, who doesn’t want to feel like they are part of something awesome? If you’re trying to make it in the online world, as a brand or an individual, then you need to start creating amazing live streams. Here’s where ManyCam comes in. If you want to know more about the importance of live video to your online presence, check out this blog post. With so many live stream platforms, broadcasting could get overwhelming. Sure you could choose based on popularity, but what if your audience isn’t there? Or what if they prefer other websites and don’t like to watch live streams anywhere else? 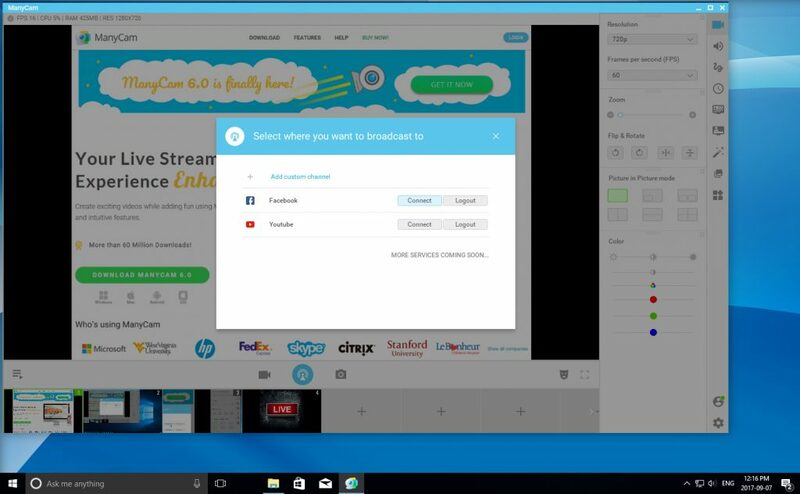 Instead of choosing one, with this feature, you can live stream to YouTube and Facebook at the same time. Or to any other live streaming platform. It allows you to expand your reach and have a bigger audience. Let’s say you have a lot of subscribers on YouTube, but you want to build your audience on Facebook. Instead of creating 2 live streams, you can create one and share it on both at once with ManyCam! Imagine a live TV show or the news with only one camera, pointed at the one person, talking non-stop. Not very exciting, is it? In live TV, there’s always a director, behind the scenes choosing what will appear next to the audience. He switches between camera angles and other resources. It starts with the host and goes on to other sources like footage, images, audio or even someone live elsewhere. That gets people engaged with the program because it’s dynamic. Live streams are no different. If you diversify your sources, viewers will be more interested and engaged. On ManyCam, you can add up to 12 different sources. 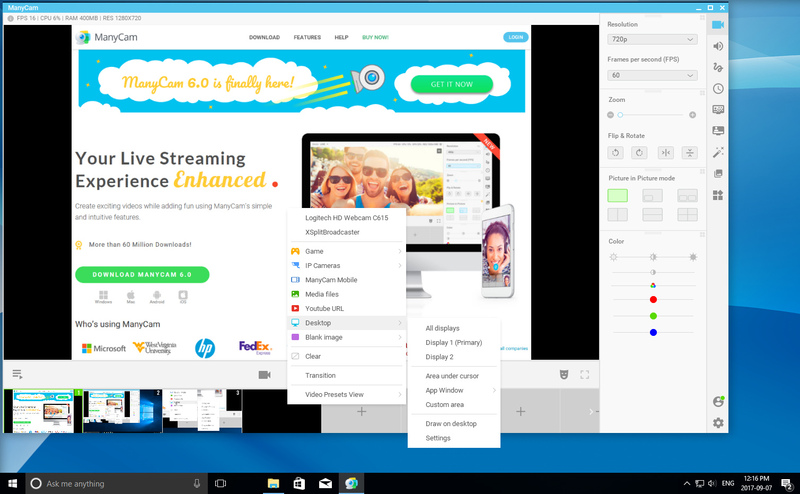 You can choose to add another camera, images, pre-recorded videos, or share your desktop. And as own director, you can cut from one source to the next with one simple click and create amazing live streams. If you create live tutorials, product demonstrations, or you need to share your screen in a meeting, this feature is essential! What better way to teach a skill or sell a product than showing how to use it, live? ManyCam gives you a few options of screencasting. You can choose to share your entire desktop, select an area or application, or the area under your cursor. 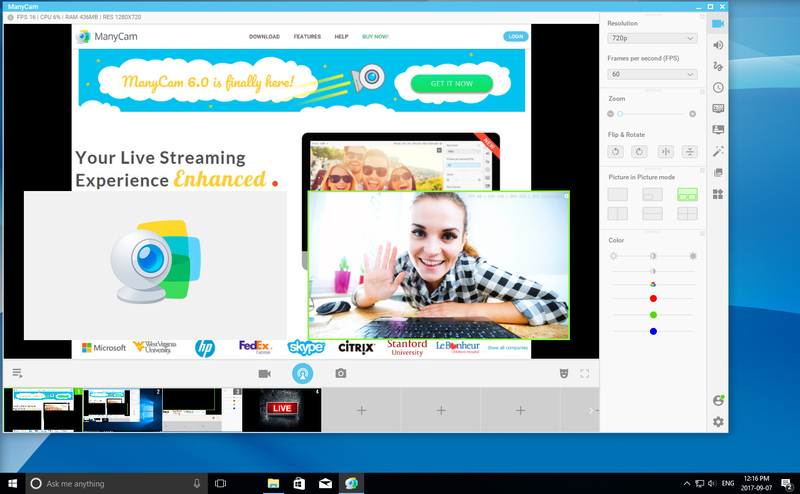 Learn more about this feature here to create amazing live streams. 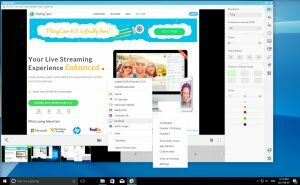 Instead of live streaming your desktop, with one click you can record your screen. ManyCam will save it and you can use it later as one of your video sources on a live stream. Since the video is on your computer, so you can share it directly on your social media platforms. You can hit record at the beginning of your live stream session and save your full live video. Then, to get the most out of your efforts, share it as a replay for those who couldn’t attend. This way, you can profit from one live stream, multiple times! This feature allows you to have one source in full-screen mode while you show other videos or images on smaller windows. For example, if you do an online presentation, you want people to see the slide deck in full-screen. But you still want them to see you on your webcam view. It’s easier for the audience to connect with you when they can see you. All you need to do is select a new video source in the Picture in Picture mode. You can drag it to reposition and resize it. Or if you have a co-host, you can also split the screen to show both of you. What if you don’t have a webcam? Or if you want to add a second camera source but don’t have one? With the ManyCam app, you can use your mobile as a webcam and add as an extra video source. In all honesty, it will have a better quality than some webcams out there, right? 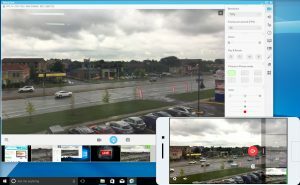 You can also use the app to record videos or create live streams on the go, straight from your device. 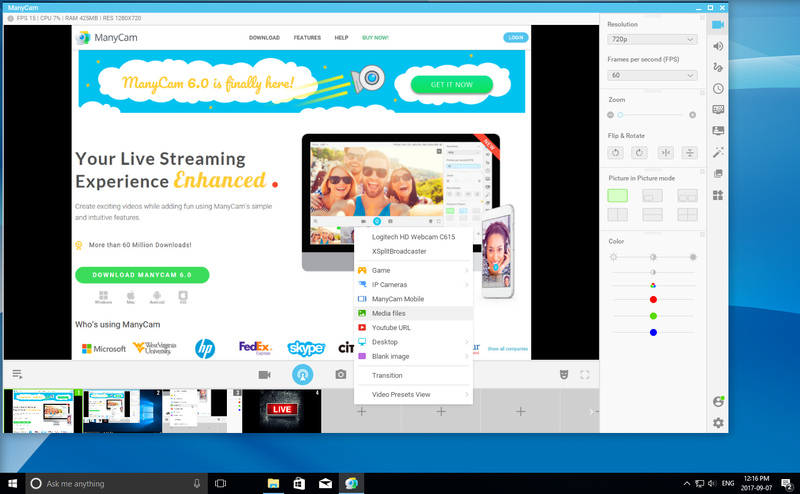 These are a few of the awesome features ManyCam has to help you create amazing live streams. With ManyCam professional video production becomes affordable and easy to use. Have a look at our subscription plans and try it now!